When I look at people wearing contact lenses instead of prescription glasses, I usually feel a pang of jealousy. Not because I can't afford them but because my eyes are so dry its actually hurting my eyes every time I wear contact lenses. My best record was two hours straight with it but that was it. Nothing fixes it that even with me putting eye drops so often doesn't help much. I never give up and kept trying a different brands but so far everything are not suitable for me. I still have hope to find a good pair for me to last for a least a few hours more because you know, sometimes its better to use contact lenses in some occasions especially on days where I do a full eye makeup. It's really a shame to hide them behind glasses. That was when I first heard of Horien Eye Secret from The Butterfly Project Facebook Page. I got invited to their launching ceremony in One Utama a few weeks ago as a media to cover this new brand and as a token of appreciation, I got to try their contact lens too! 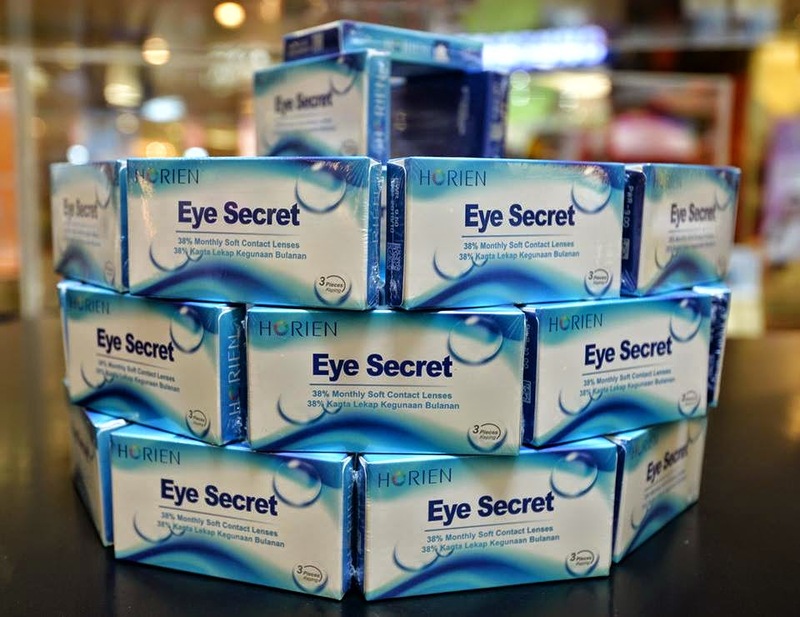 As a matter of fact, on the launching day public can actually get a pair of daily contact lens to bring home to try as long as you know your prescription power. During the launching ceremony, I found out that the lenses also got a KKM certification which shows that this is a trustworthy brand and is not harmful to your eyes. 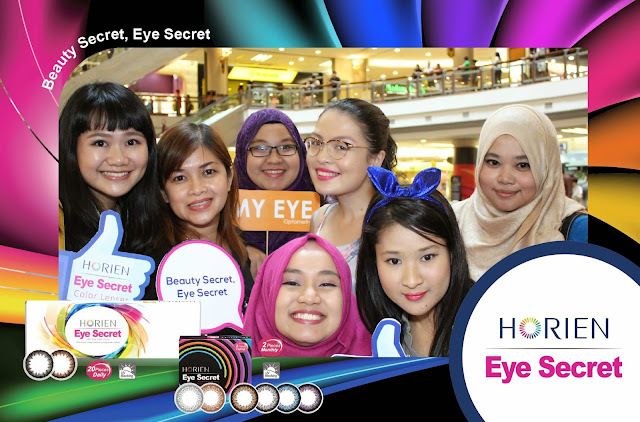 Their new ambassador is none other than Yumi Wong, a Malaysian model turned actress that is now active in Taiwan. We were also entertained by EleColdXHot with their slick dance move as a closure of the launching event. 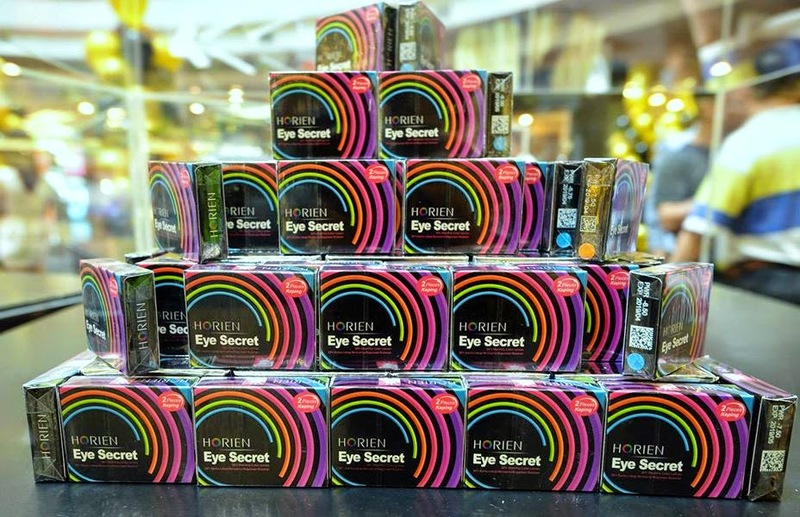 I might not be all experienced with contact lenses but I have tried a fair share of brands to say that the Horien Eye Secret lenses are very thin! There is no discomfort whatsoever as soon as I tried it and to my shock I actually lasted for about almost three hours with it without a single eye drop and not feel any dryness. I have tried their daily coloured contact lens in Black, monthly clear contact lens and also their monthly coloured contact lens in Brown. In overall, in term of comfort I'd say this is the best brand of all I've tried. Win Heroic Trip with Watsons Heroic Contest!